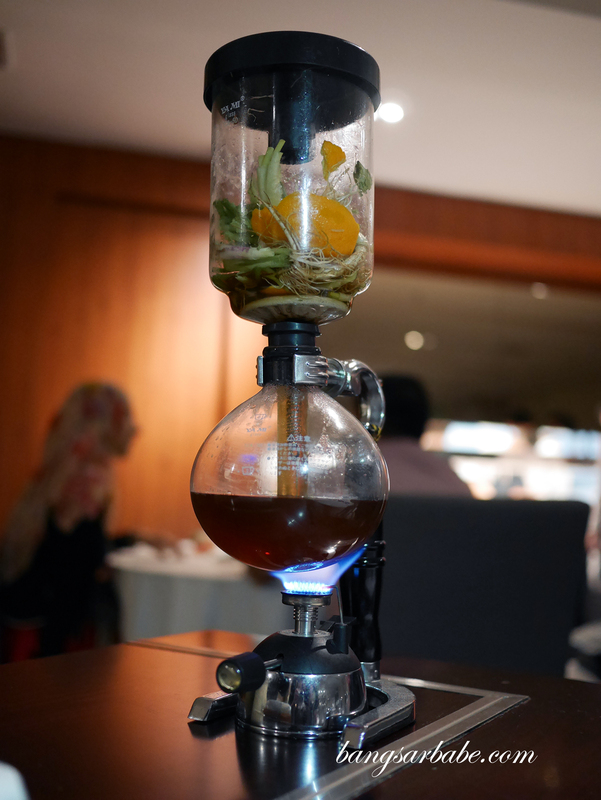 Dewakan in KDU Shah Alam isn’t easy to find – it took me a good 30 minutes of wandering around the campus to finally find the restaurant, which is beautifully tucked away at a quiet corner with a view of Chef Darren’s garden patch. My second time around was a breeze, mostly because I knew just where to park my car. 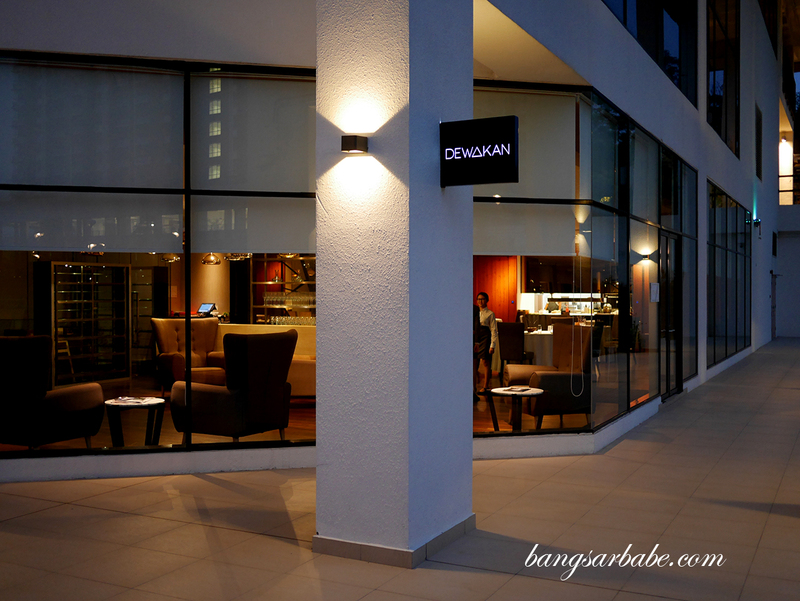 Dewakan is the brainchild of Chef Darren Teoh, who aims to bring onto one’s table the bounty and blessings of our local produce, reinterpreted as modern Malaysian cuisine. 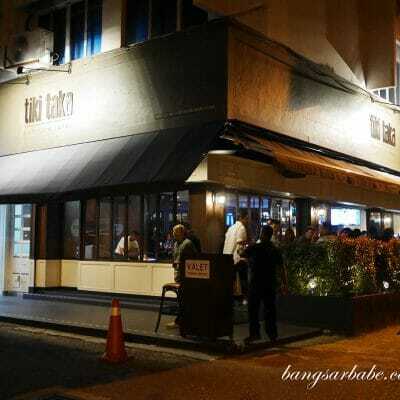 Dewakan came from a combination of two Malay words, “Dewa” which means god and “Makan” which means eat. 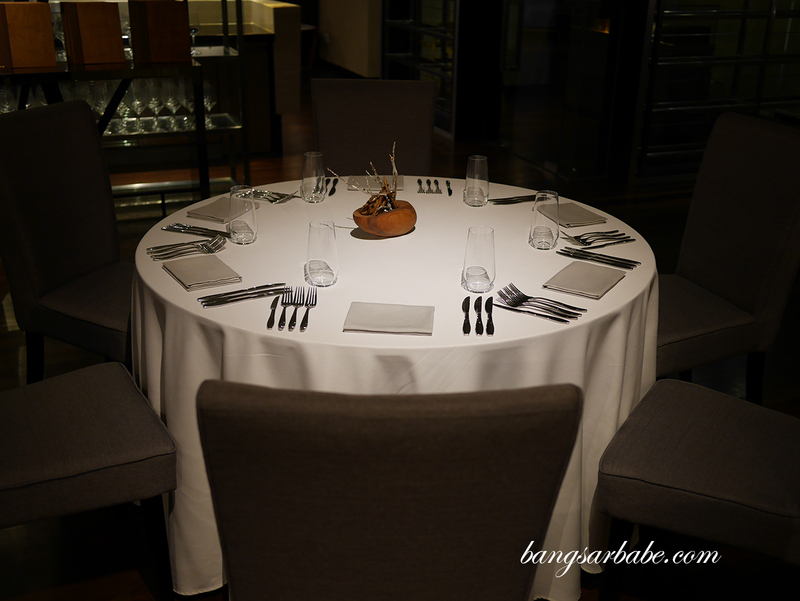 Both my dining experiences were memorable – because of the boisterous chatter from a group of ladies celebrating their friend’s 50th birthday (if only I’m that cheerful when I get to that age) and the consistency of floor service on both nights. 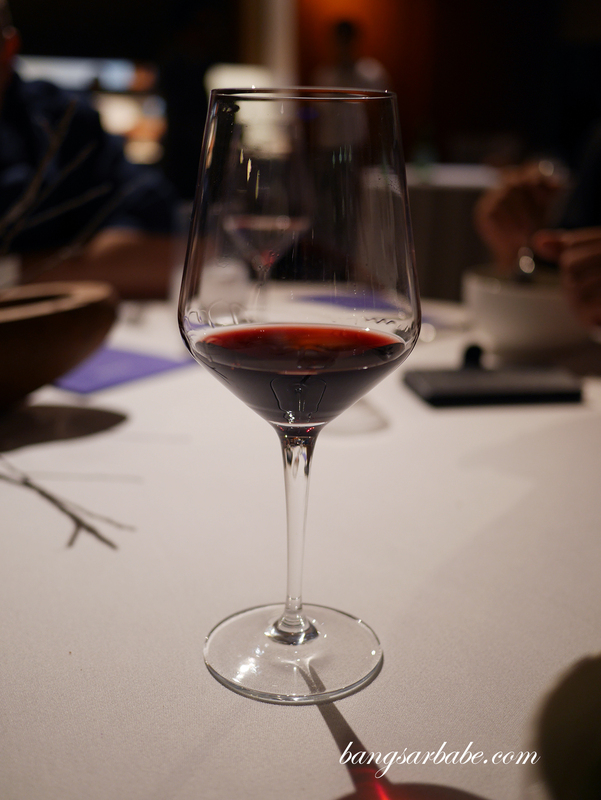 It was better than a lot of fine dining restaurants I’ve been to; the food was well-timed and our water, refilled whenever necessary. 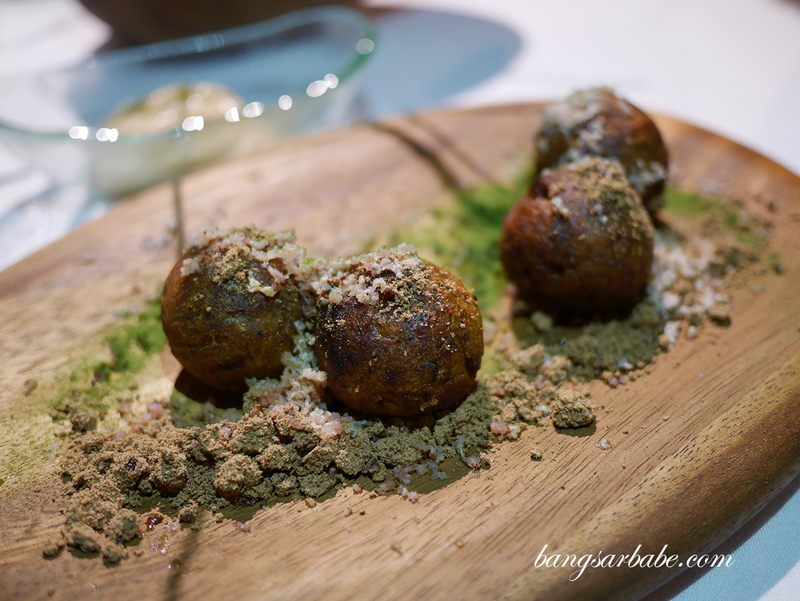 Our 10-course meal started with some freshly baked bread and salted butter, followed by some cucur (fried fritters) generously dusted with kerisik (dehydrated coconut) and spinach powder. 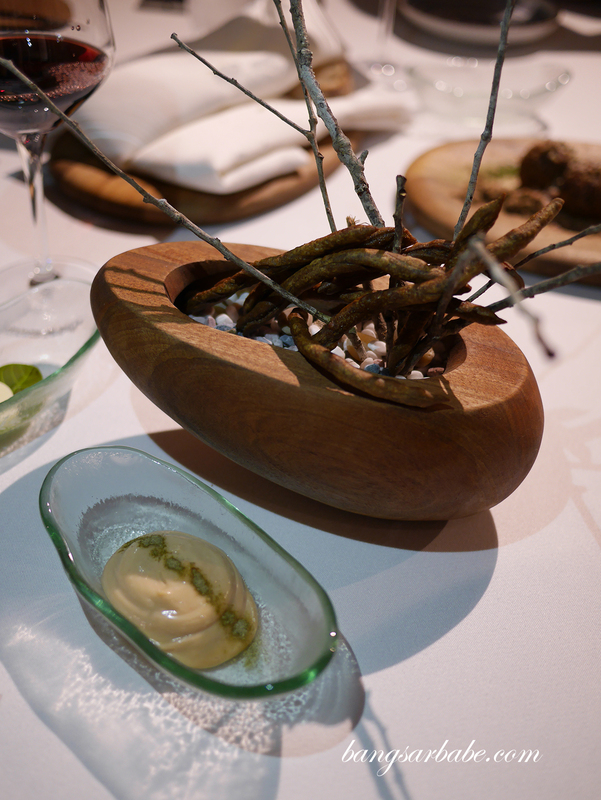 I also enjoyed the “twigs”, served with “budu” mayonnaise for an experience that reminded me of “keropok lekor”. MUSHROOM | thinly slice raw mushroom and roasted mushroom on green curry paste and cumin yogurt, with smoked mackerel flakes and local flowers. 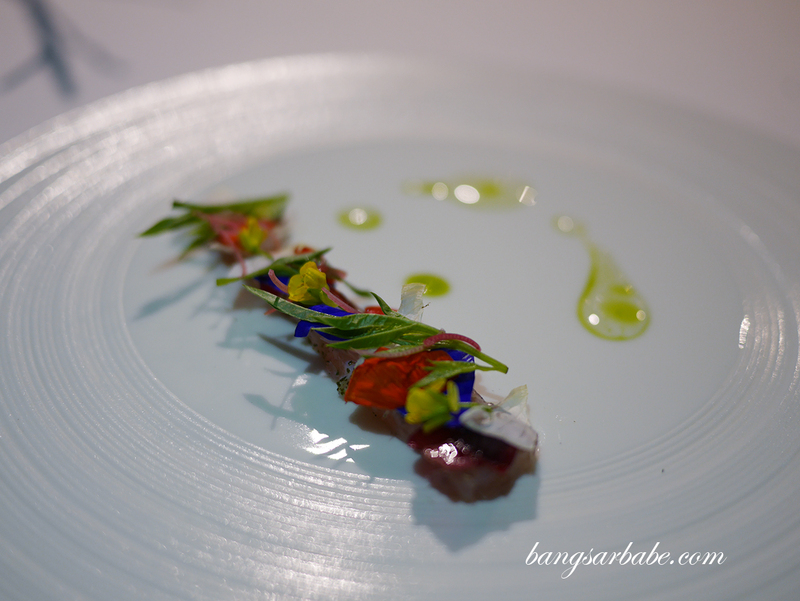 For RM180, the 10-course meal (subject to change) featured an artfully plated cured blue mackerel topped with local flowers, picked kantan, rose petals, ulam raja, choy sum flowers, pomelo and further scented with rose water and lime leaf oil. 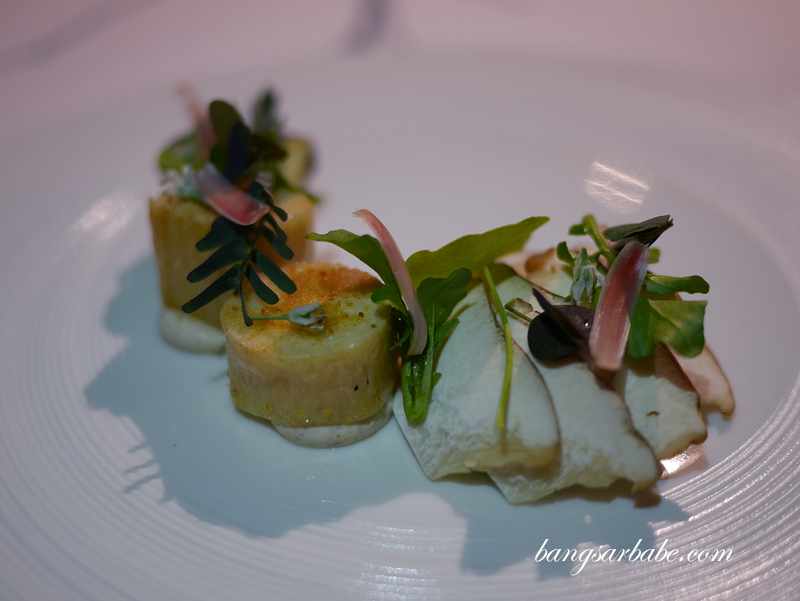 The roast mushroom was one of my favourite dishes where the king oyster mushroom is prepared two ways – thinly sliced (eaten raw) and a roasted version sprinkled with smoked mackerel flakes on top. These were placed atop some green curry paste and cumin yogurt and the combination blew me away. Who knew raw mushrooms could taste this good! Mushroom broth infused with spring onion and coriander roots, smoked garlic and orange peel. It’s sad that the forbidden rice porridge is no longer available (at least that’s what I noted from the website) as this was mind-blowing. 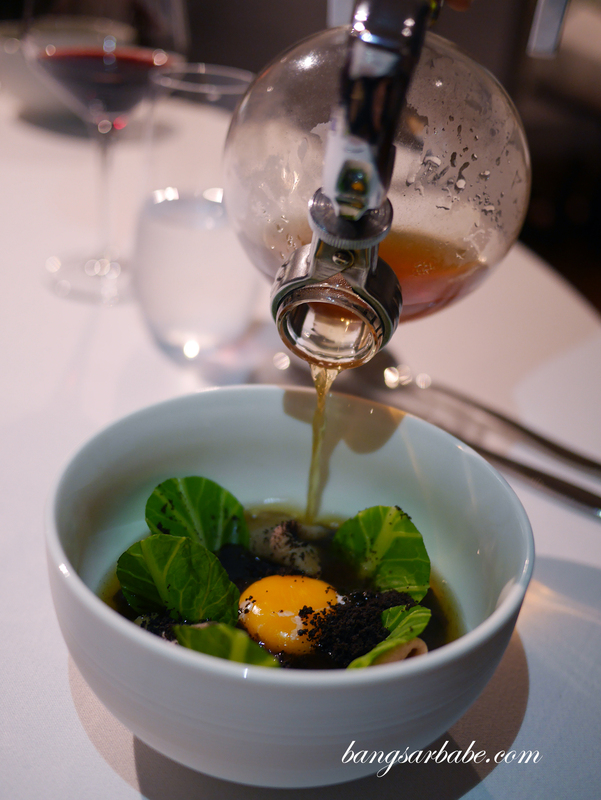 Mushroom broth infused with spring onion and coriander roots, smoked garlic and orange peel, and served over a treasure bowl of black glutinous rice, ox-tongue, choy tum and soft boiled egg yolk. Words cannot describe how good this dish is so here’s hoping they include it back into the menu. RED PRAWNS | prawn tartare with deep fried fern, pegaga and pickled kantan; prawn in leaf stem with bunga telang dressing. 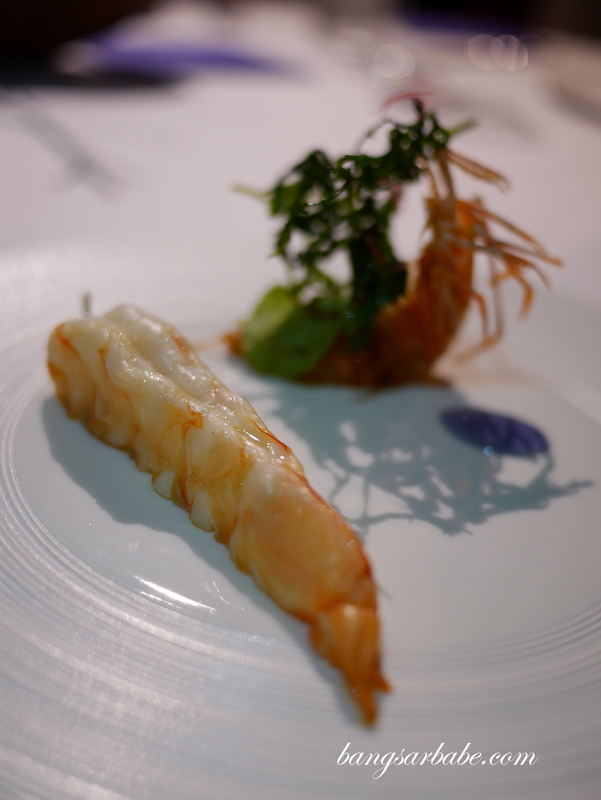 Our subsequent course was a prawn dish; done tartare style and the other, skewered with a leaf steam for flavour. 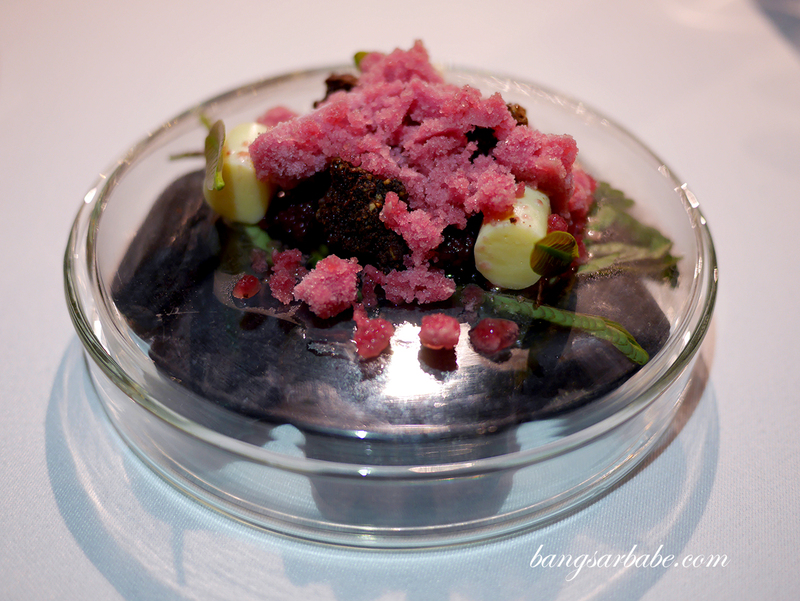 The latter is served with bunga telang dressing while the tartare version comes with deep friend fern, pegaga and pickled kantan. 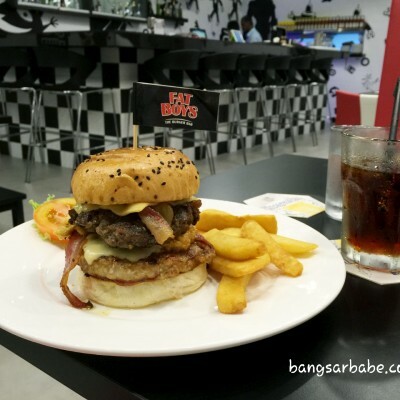 Both were contrastingly different and delicious in their own right. 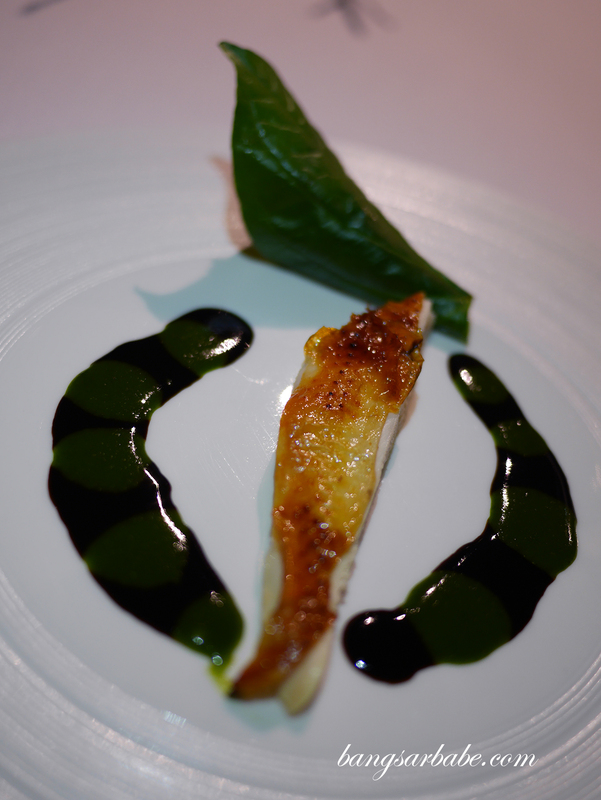 CORN FED CHICKEN | Chicken breast served with kailan puree and buah keluak puree. 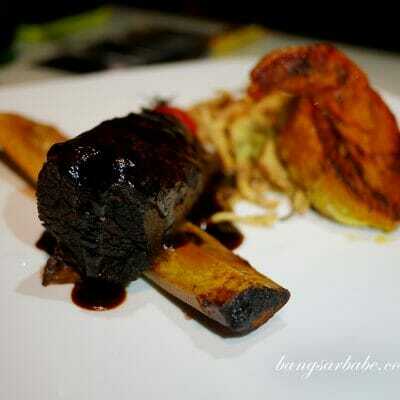 With chicken pate wrapped in the daun kaduk. 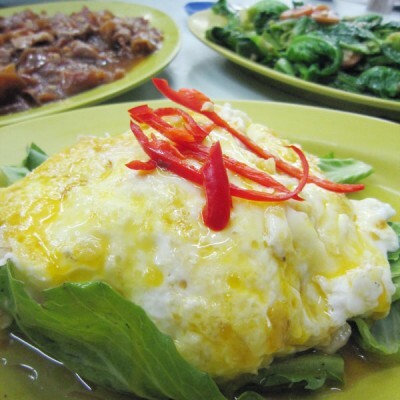 Buah keluak is fast becoming rare, even in Nyonya households because of the tedious preparation it requires. Chef Darren used it as a puree to go with corn fed chicken breast. The candlenut had a subtler flavour as a sauce but it was still strong enough to flavour the chicken. 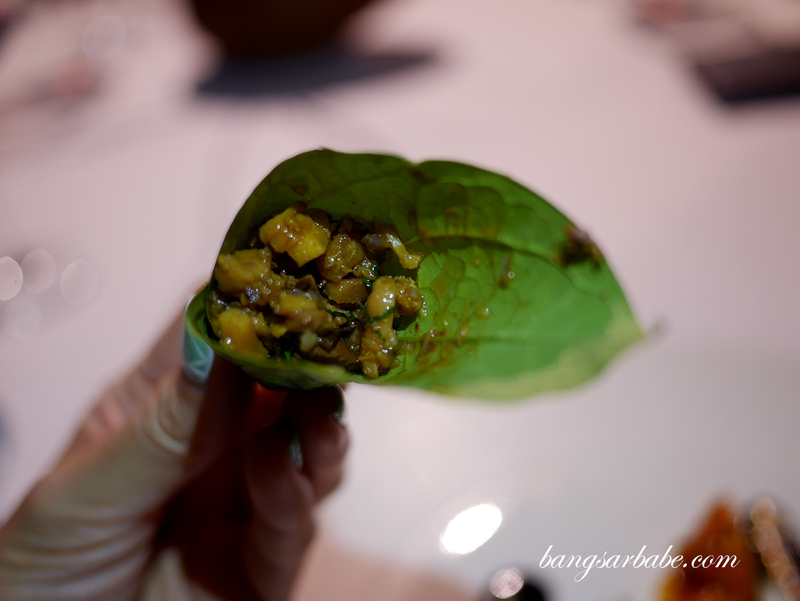 I also enjoyed the diced chicken pate, wrapped in daun kaduk. 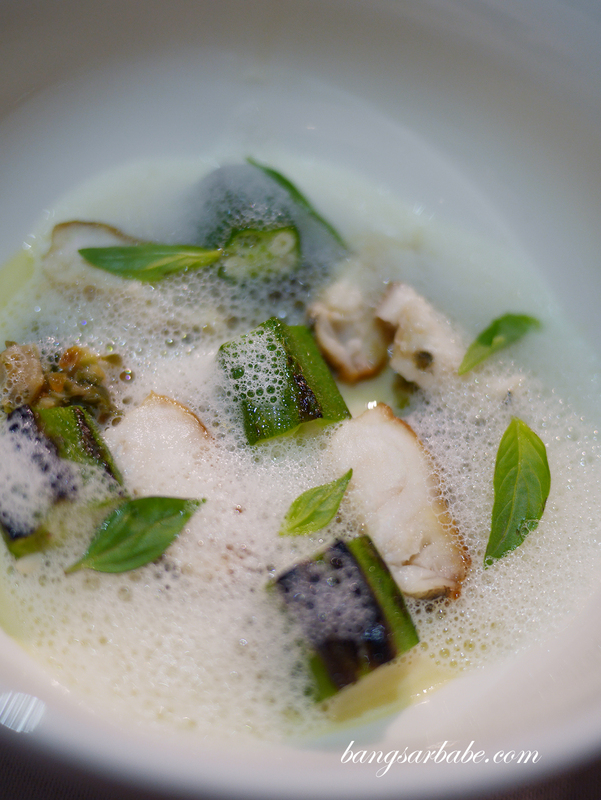 MALONG | with steamed egg custard, grilled okra, cured egg yolk, diced pickled long beans and thorny clams, served with natural jus, shellfish foam and Thai basil. While the smoked malong fish with steamed egg custard was tasty, I enjoyed the pomfret with salted egg yolk sauce I had during my first visit better. 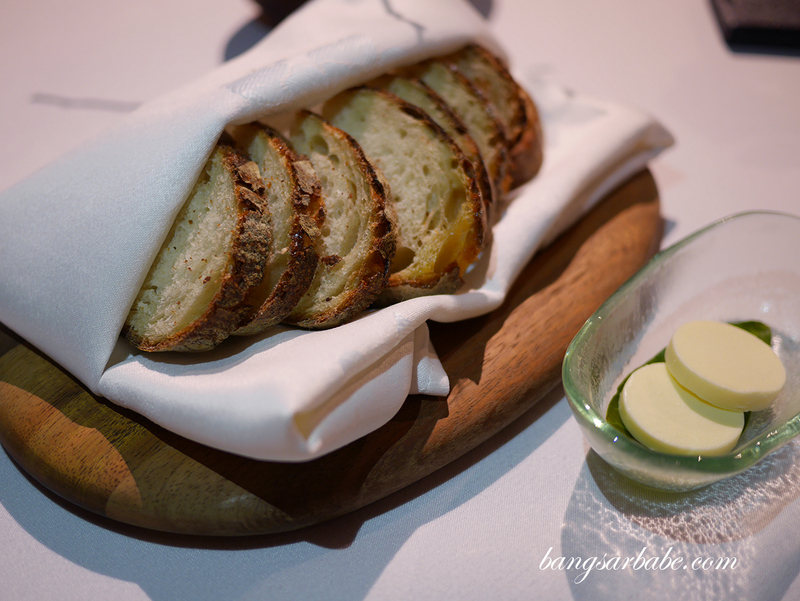 This version had a stronger herb flavour but the combination seemed less exciting for me. LAMB BREAST | Slow cooked of lamb breast with masala spiced onion puree, roasted vegetables of spring onion, romaine lettuce, spinach and rose petal pickle. 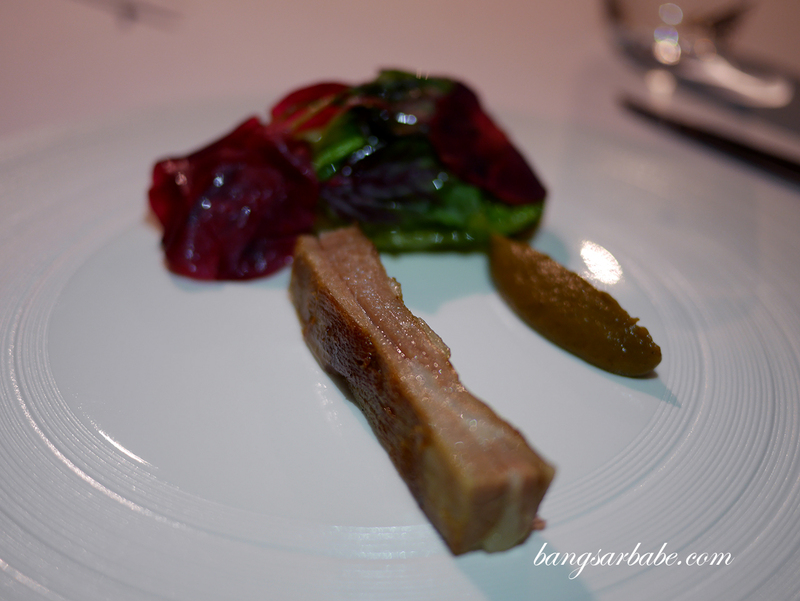 The slow-cooked lamb breast came with a masala spiced onion puree, roasted vegetables and rose petals pickle. This combination was one of my favourites as there was a bit of tartness from the rose petals and some spicy-sweet notes to balance the gamey flavour of the meat. CARDAMON | White chocolate with cardamon with cashew nut flourless sponge, mulberry jam, cashew nut leaves, and mulberry snow. GULA MELAKA | marquise with caramelized white chocolate, date sponge and mulberry, topped with sour meringue and bunga telang. Served with sticky rice ice cream. Dessert featured a series of three creations starting with the white chocolate cardamom served with cashew nut flourless sponge, cashew nut leaves, mulberry jam and mulberry snow. 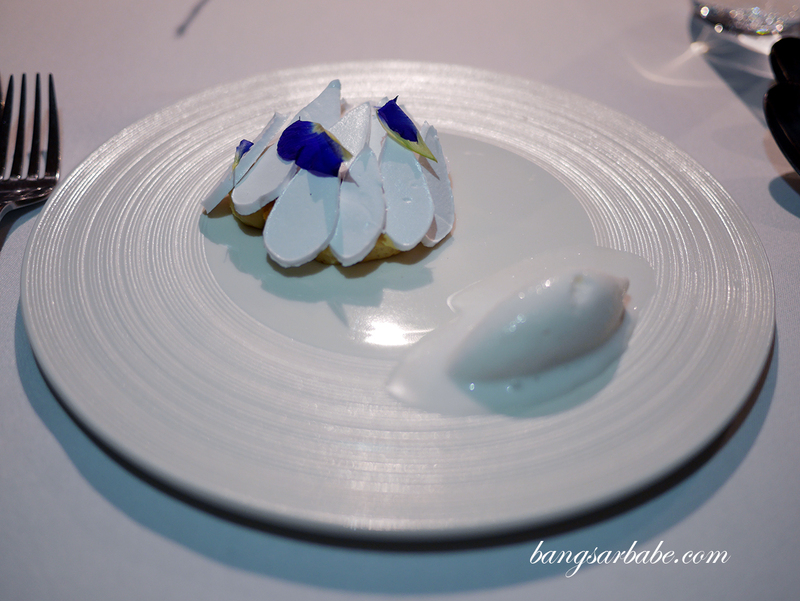 It was a good palate cleanser and one that prepared us well for the Gula Melaka marquise with caramelised white chocolate with sticky rice ice cream. That ice cream was amazing stuff and it went especially well with the sour meringue. 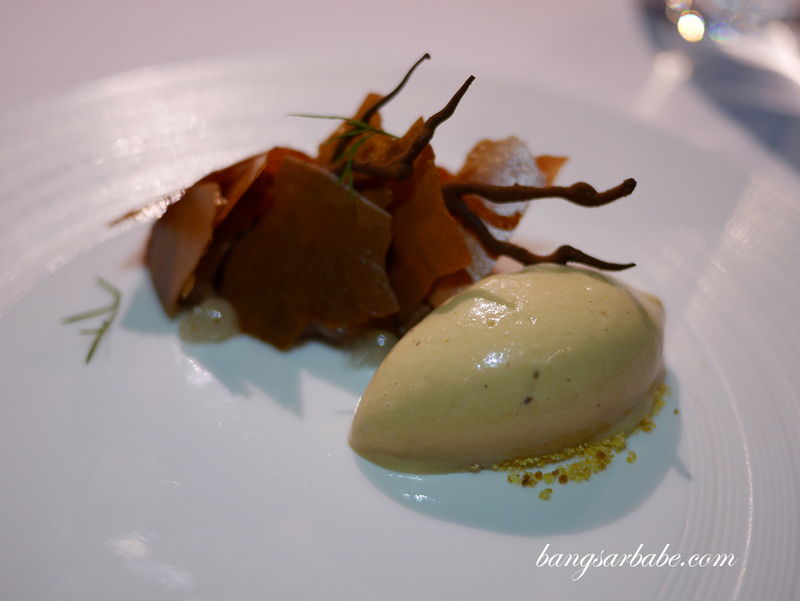 SMOKED CHOCOLATE CHANTILLY | with nutmeg gel, banana chips, chocolate twigs and fresh dill. With pisang goreng ice cream and milk crumbs. If you think Darren has done it all, wait till you try his pisang goreng ice cream (yes, you read that right) which he served with a smoked dark chocolate chantilly, nutmeg gel, banana chips, chocolate twigs and fresh dill. That was my favourite of the three desserts as I like to finish my meal on a strong note. 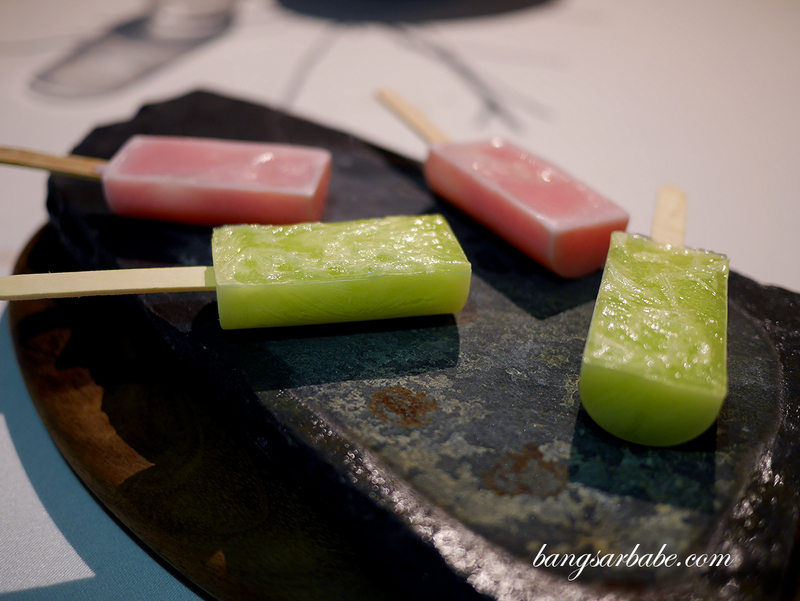 To create an element of fun, you get a choice of sirap bandung popsicle or honeydew sago, a clever twist to our local favourites. You get to indulge in those, alongside a cup of black coffee or tea. 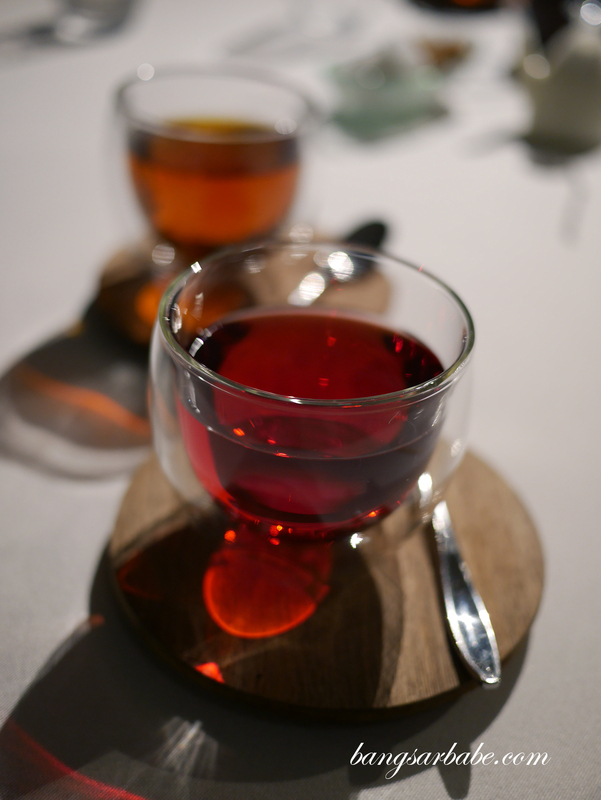 I suggest checking out their tea selection as the ones available are interesting. Verdict: I like how Darren incorporates Malaysian elements into a dish without it losing flavour and flair. Well done!